Inspiring designer offers free vectors. While browsing the freevectorgallery that I posted about last night, I discovered an amazing vector designer and artist that offers some gorgeous free vectors. The vectors are also royalty free, and can be used for personal or commercial use. What makes Chadlonius even more impressive is that his files are usable in CorelDraw, where most designer focus on Illustrator and Photopaint. 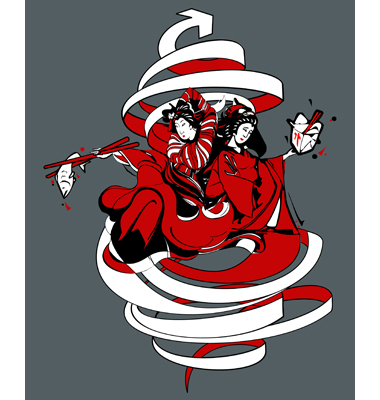 Download this asian inspired vector here. Not to sound dumb, but what is a vector? It’s a line drawing that you can use in design programs such as Corel or Illustrator.